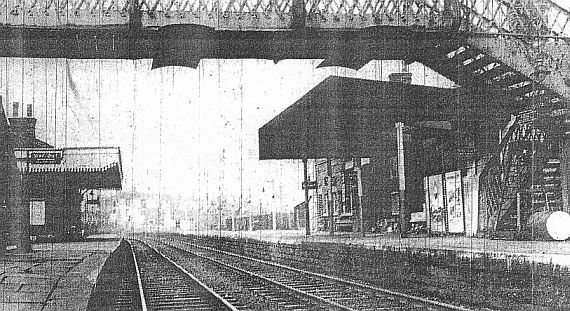 The shocking news to hit Burnley that week was of the impending closure of Manchester Road Railway Station. It might well have been a 'Best kept gardens' winner again but the lack of use meant that, after 111 years, both passenger and goods trains would no longer stop at the station. Local officials vowed to do all they could to keep the station open but they weren't holding out much hope. There was no hope either of young 12-year-old Dennis Green from Halifax getting his hands on a car. CG Skipper, based then on Oxford Road, were holding a sale with the six cars available for just 6d (2.5 pence) each. Young Dennis travelled over and was third in the queue as he waited all night in the freezing cold with his silver sixpence ready to get his car, but when the doors opened only those over 21 were allowed in. He was so disappointed, but management at CG Skipper didn't allow him to leave with nothing. They arranged with a sports shop in Halifax to supply him with a free Halifax Town Football Club kit. Hamburg had real concerns over the pitch ahead of the game. It was frozen solid and not the sort of surface they liked to play on. They didn't want to play the game in January at all and would have preferred it to be closer to the date of the second leg which was eight weeks later. But the European Cup committee at Geneva decided upon the date. 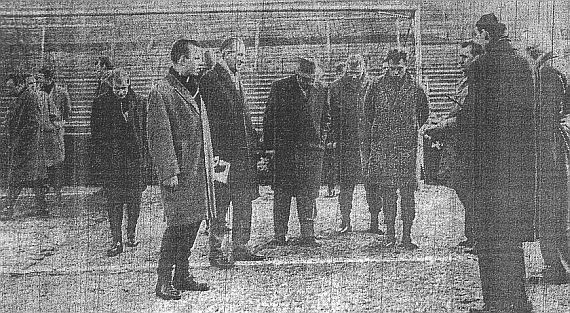 They visited on the day before the game but on the day itself they were rewarded with a rest day when most of the players would enjoy their favourite pastime of playing cards. They stayed at the Keirby (the hotel where today they advertise CLEAN rooms) and incredibly made their way to Turf Moor on foot for the game, manoeuvring their way around the queues at the Odeon as people waited to go and see South Pacific and Mitzi Gaynor washing that man right out of her hair. This time they arrived to find anything but a frozen pitch. The weather had changed dramatically and now, instead, we had something resembling a mud bath for the tie which was being shown live on television. Burnley had taken a 2-0 lead to France in the previous round for the second leg against Reims, eventually winning through 4-3 on aggregate. They were hoping they might just be able to get the same sort of lead against the West Germans who included some star players such as the brilliant centre forward Uwe Seeler, who would go on to captain his country, his brother Dieter and captain Jochen Meinke. It was Burnley's night in what was described as one of Turf Moor's greatest matches. 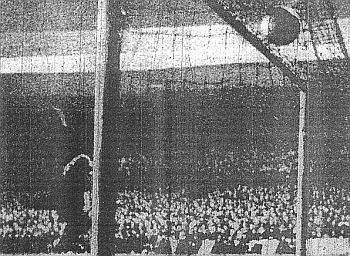 Don Smith wrote in the Burnley Express: "Not so much was the passport into the semi-final of the European Cup double stamped by little Pilkington, but it was the manner in which the proposed advancement was endorsed by the whole side. "Gone were the recent jitters, the margins for error and the signs of form slump. Once again this side of unpredictables confounded their critics to send their supporters making Thursday morning inquiries about the possibilities of trips to Hamburg." The game was the talk of the town and the football world, such was the quality of Burnley's performance. Pilkington had his best and most effective game for months and he crowned it with two tremendous shots. HIs second, from the wing, was one of the best of his career. Then there was the mighty Miller, who came into prominent power in the second half when he was hard hit by body charging and hacking which had him making indentations in the mud. But the harder Miller was hit, the more he seemed to enjoy it. Hamburg's defence was always suspect under the varied tactics of the Burnley attack who went in front after just seven minutes from a long throw-in by Joyce that McIlroy gave to Pointer He transferred it to PILKINGTON who gave us the lead. One the hour it was 2-0 with a second PILKINGTON goal. This time it was a right foot screamer into the far top corner before goalkeeper Schnoor could hardly move. He was mesmerised by the speed. Pointer then had a header stopped but before Schnoor could pounce, ROBSON had the ball over the line and Burnley were 3-0 up. Then, with five minutes to go, a quiet oft-tried move created an opening and DӦRFEL was through with Blacklaw beaten for once. It gave the Hamburg supporters their one moment of glory which they took with waving flags while one character celebrated with a solo on a tin trumpet. It knocked back Burnley's advantage and with a 3-1 win it made the result at Hamburg more open. The few dozen visiting fans had continually shouted H.S.V. almost like a war chant, and that's something Burnley would face from many more West Germans in the second leg eight weeks later. Burnley: Adam Blacklaw, John Angus, Alex Elder, Walter Joyce, Jimmy Adamson, Brian Miller, John Connelly, Jimmy McIlroy, Ray Pointer, Jimmy Robson, Brian Pilkington. Hamburg: Horst Schnoor, Gerhard Krug, Jürgen Kurbjuhn, Jürgen Werner, Jochen Meinke, Dieter Seeler, Klaus Neisner, Klaus Stürmer, Uwe Seeler, Horst Dehn, Gert Dörfel. Referee: Mr. Tage Sorensen (Denmark).